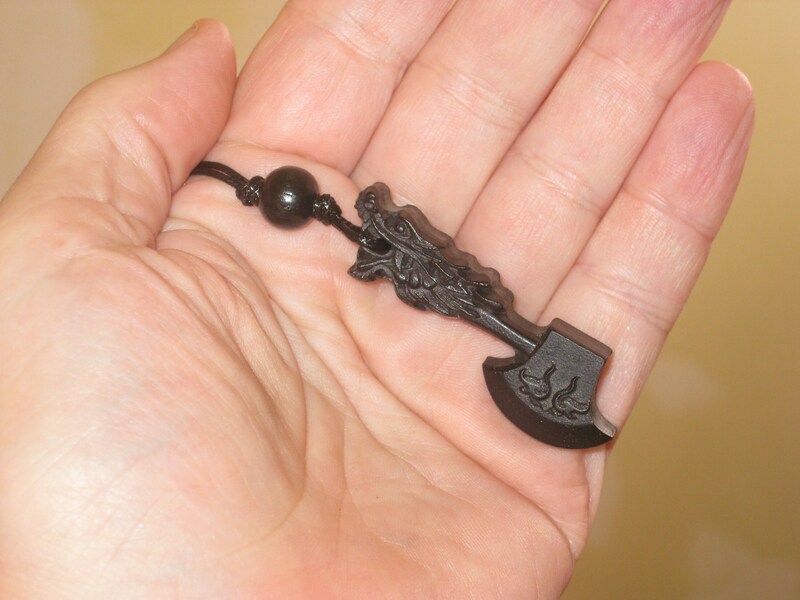 Hand carved ebony rosewood dragon axe pendant with wood beads. 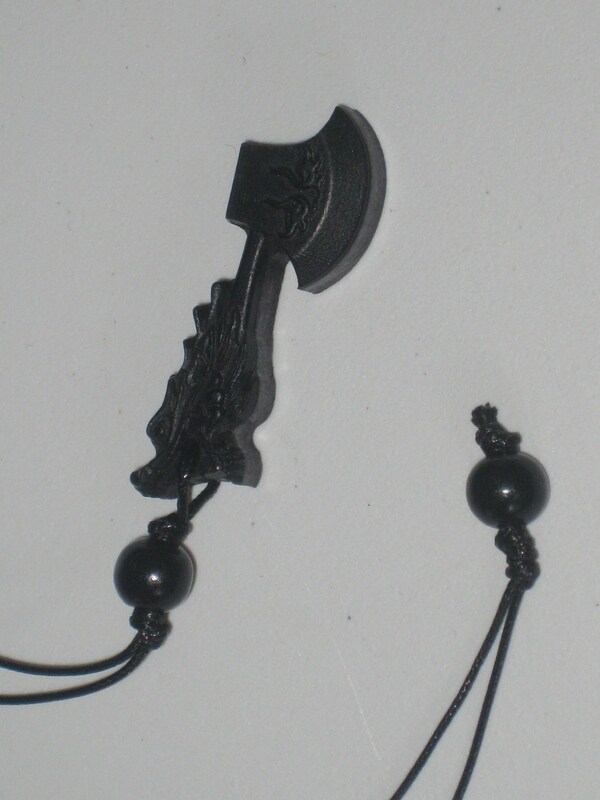 Hand carved 24" necklace with ebony rosewood dragon axe pendant and wood beads. The axe was made by me with a scroll saw, and has a strong but simple message. 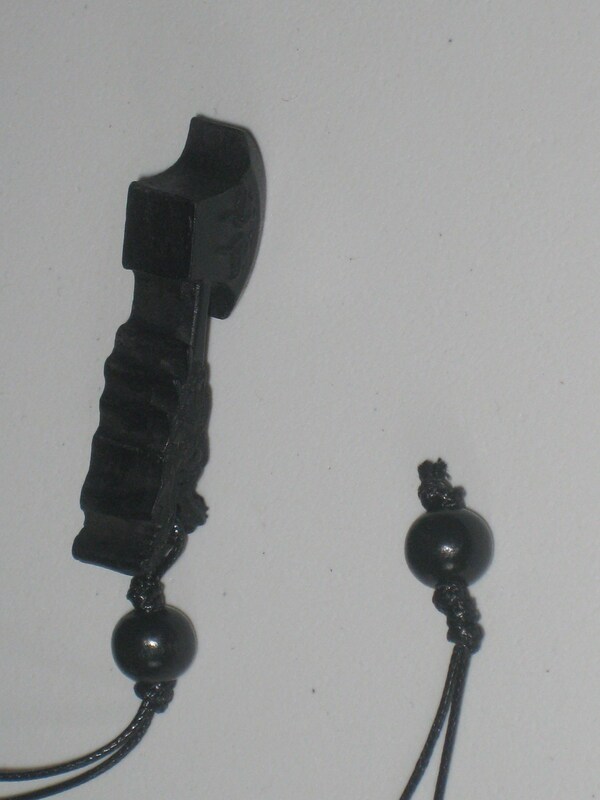 I make all my jewelry and ship it from Canada. Comes from a smoke and pet free home, and is lead and nickel free. If you have any questions, please don't hesitate to ask.